Grab your 4-wheelers and come play on our trails! 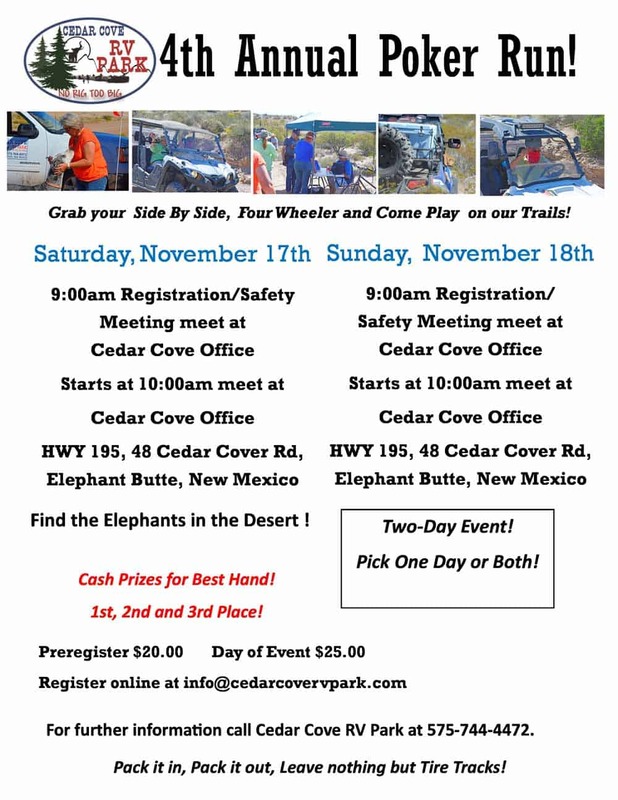 The date for our next ATV Poker Run is Saturday and Sunday, November 17 and 18, 2018! $20 per hand in advance, $25 per hand after November 16 at midnight. All are invited! Cash prizes!